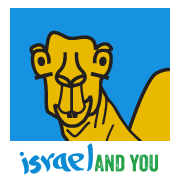 When the Right-wing parties finally won an election in Israel (1977), we began to see in the 1980’s recognition of their contribution to Israel’s independence. 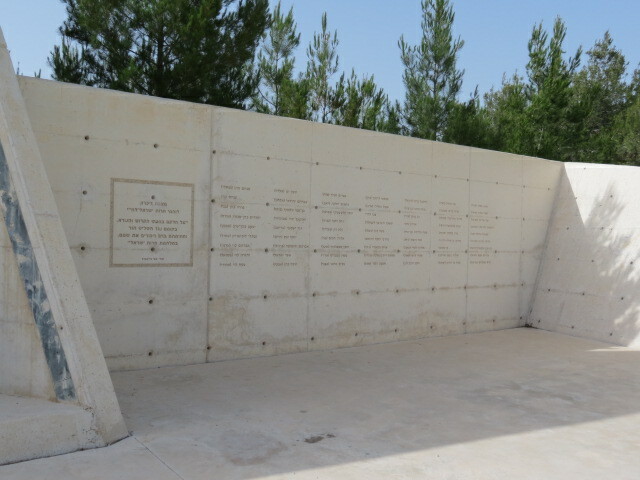 One example is the moving Lechi Monument in the Mishmar Ayalon Forest, opened in 2005 as a memorial to the 127 Lechi fighters who sacrificed their lives for their country. The monument’s theme is the “marriage” of the fighter to the nation. The white stone tower symbolizes both a white bridal gown and the white funeral shrouds of the casualties. Polish born Abraham Stern immigrated to Palestine in 1925. After studying in Florence he returned to Palestine and became active in the Hagana to fight for Jewish independence. In 1931, together with other Haganah fighters he broke away to form an armed resistance movement, the Irgun. His code name was “Yair,” in tribute to the commander of the zealots at Masada, Eliezer Ben Yair. Stern called for an armed struggle against the British for independence. He and David Raziel, compiled a manual on the use of the revolver, the first of its kind in Hebrew. 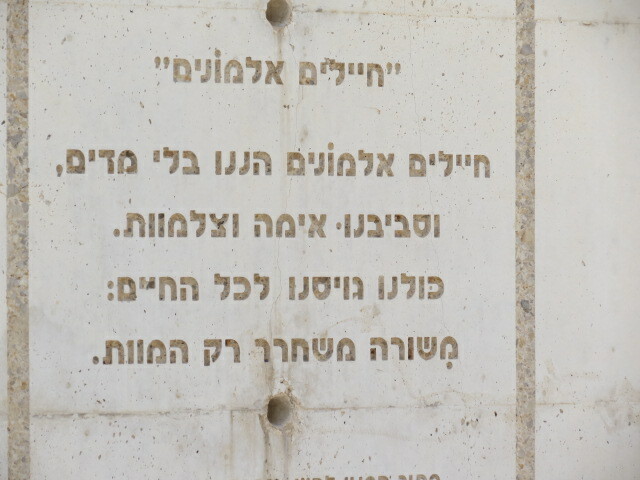 Stern also wrote the poem “Anonymous Soldiers” (1933) which became the anthem first of the Irgun, and later, of Lechi. When, during World War II, the Irgun decided to suspend their attacks on the British , Stern broke away from Raziel and formed a radical splinter opposition group, known as Lechi, an acronym for “Lohamei Herut Yisrael. In 1942 the British had offered a reward for Stern’s capture. On February 12, 1942, the British discovered Stern’s hiding place in Tel Aviv, and murdered him. Lochamei Herut Yisrael, founded in 1940, was the smallest but most militant of the three underground military organizations under the British Mandate in Palestine. At the heart of this little forest, also called Ya’ar Lechi, there is the impressive, towering Lehi Memorial, designed by Ayelet Bitan-Shlonsky. The Lehi forest is located in the moshav, probably because three Lehi veterans (Shimshoni, Vered and Even-Tseva) settled in the moshav in its early days.